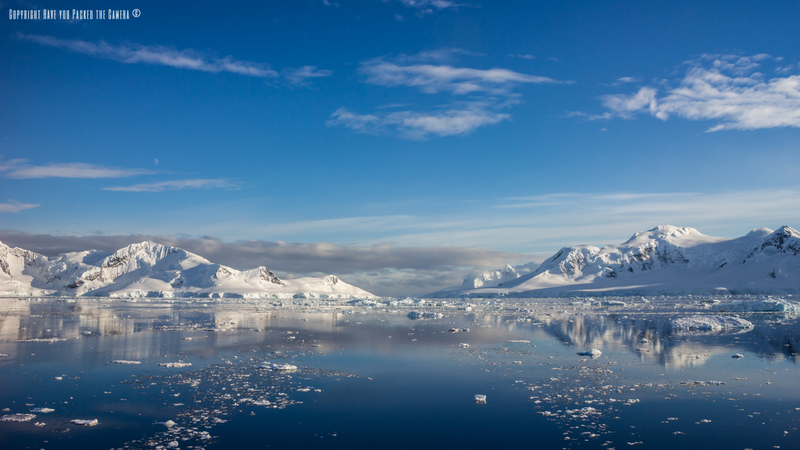 When people think of Antarctica, they usually think of the wildlife and the landscapes – It is famed for both and I have been lucky enough to photograph this captivating world. The landscapes are a photographer's dream, every angle you can think of and every corner you turn is just so photogenic! I could have taken thousands and thousands of shots, but managed to limit myself to around 600. 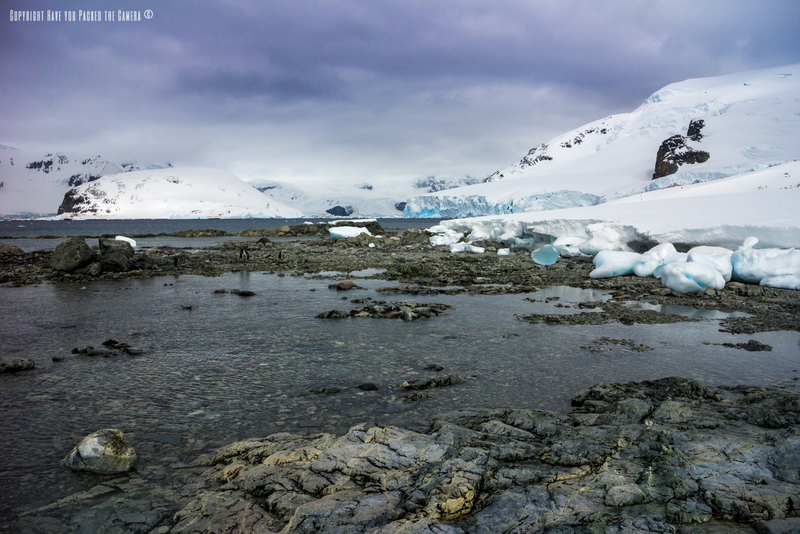 Trying to select a collection of landscape photos from my Antarctic adventure was a difficult task – There are so many memorable shots that I love, this photo essay could easily have been a photo book! 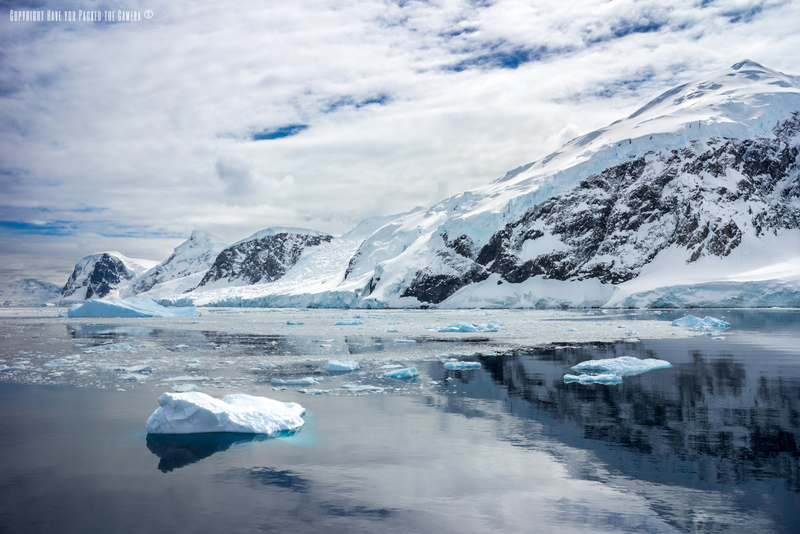 I found the various landscapes in Antarctica captivating – Snow covered mountains that seem to reach to the sky, unearthly still waters peppered with bright white and blue icebergs, shelves of ice as tall as skyscrapers, it really is something to behold, and left a lasting impression on me. I think what impressed me the most, was the immense scale of the landscapes – I visited a tiny portion of the Antarctic Peninsula, yet the scenery and surroundings I saw were all grand, imposing and made me feel extremely insignificant – I was a mere blip against the unconquerable mass that is Antarctica. 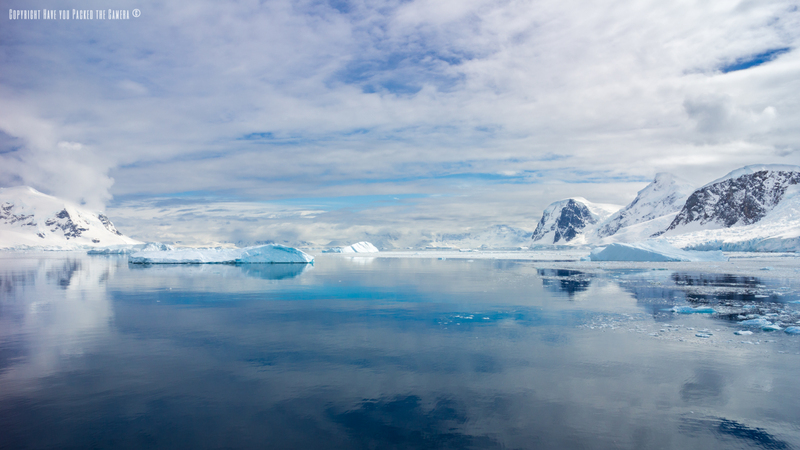 The landscape as we approached Antarctica through the Drakes passage was quite brooding, moody and foreboding – The skies were dark and cloudy, whilst the water was a deep shade of blue. The only glint of light was seen in the bright whites of the giant icebergs that floated past our ship, with a brilliant underlying hint of turquoise at the base. 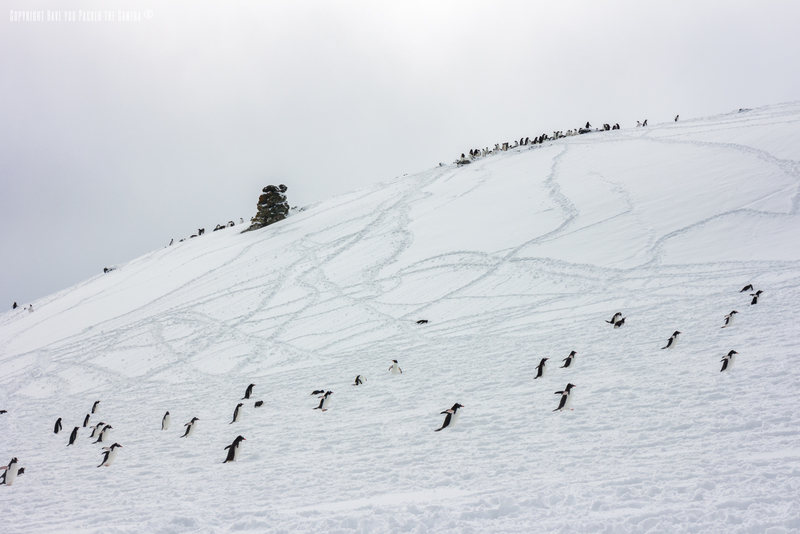 The snow was surprisingly interesting – In places there would be endless snow drifts that stretched for miles with not a break or crack in sight, and in others the snow would be broken by hundreds of tracks created by the Penguins. The tracks created beautiful patterns in the snow that weaved up and down the hillsides and shorelines. 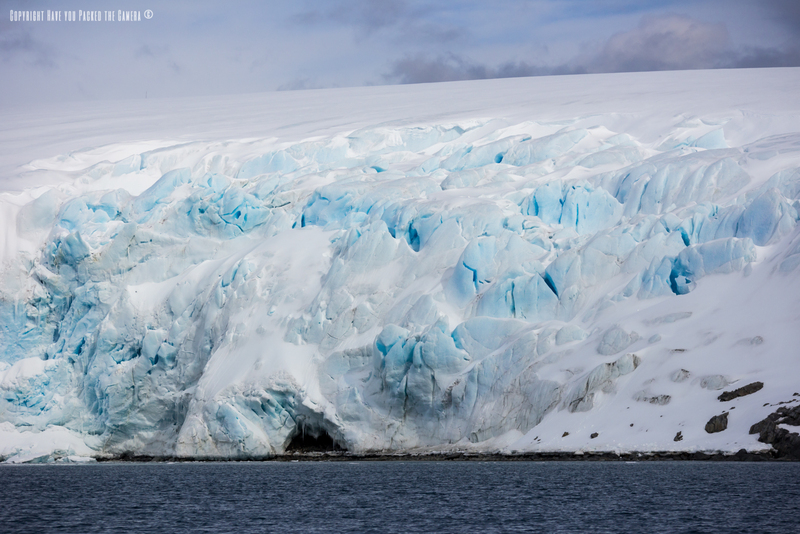 The ice shelves in Antarctica were spectacular, there is no other way to describe them. They dwarfed everything in sight and I wondered at how much force must have been pushing on the face. The detail, colours and patterns in the shelves were stunning – Different shades of blue and purple, smooth edges, jagged edges, they were wonderful to study. 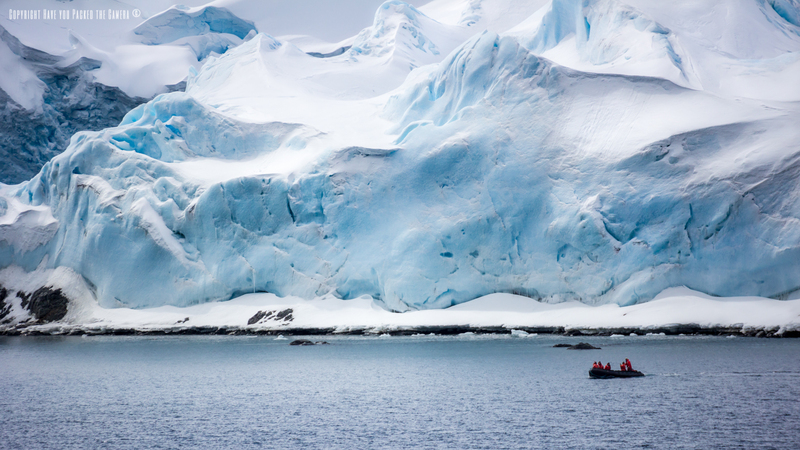 The ice shelves were really put into perspective when our Zodiac boats skimmed past them – The boats looked so insignificant next to the huge walls of ice. I think this photo really captures the enormity of Antarctica – Look how small the Zodiac and people look compared to the immense mass of grinding ice behind them! I found that the most impressive landscapes were the ranging mountains stretching into the distance – At several places like Paradise Harbour and Neko Harbour the bays were surrounded by huge mountain ranges that created amazing reflections on the water. The mountains were covered with snow and reflected brilliantly in the sun. Neko Harbour was without a doubt a special setting – The scenery looked like a postcard. 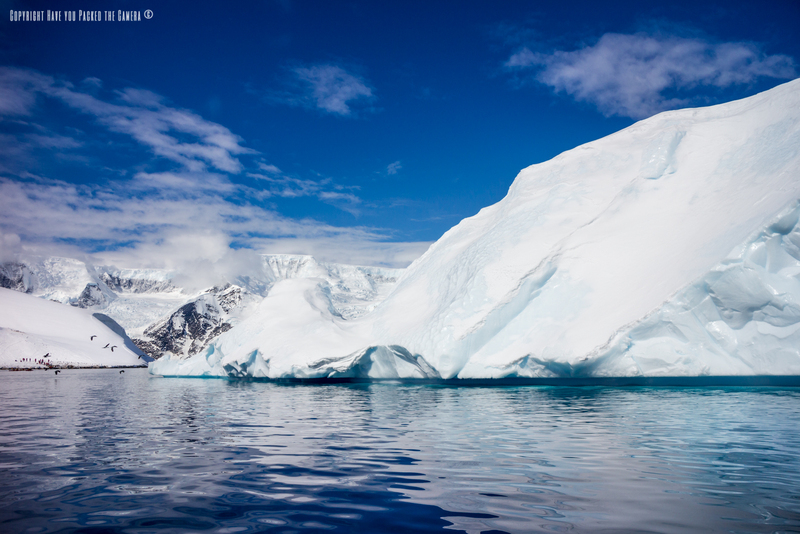 Icebergs floated in the clear blue waters, whilst our boat was shaded by a semi-circular bay made of large ice-walls, topped with mountains. In the distance were some more white-over mountain ranges, wreathed in cloud. Iceberg's created really interesting landscapes - The shapes, contours, lines and colours were all so different from one to the next, while the magnitude of these giant sculptures was awe-inspiring. 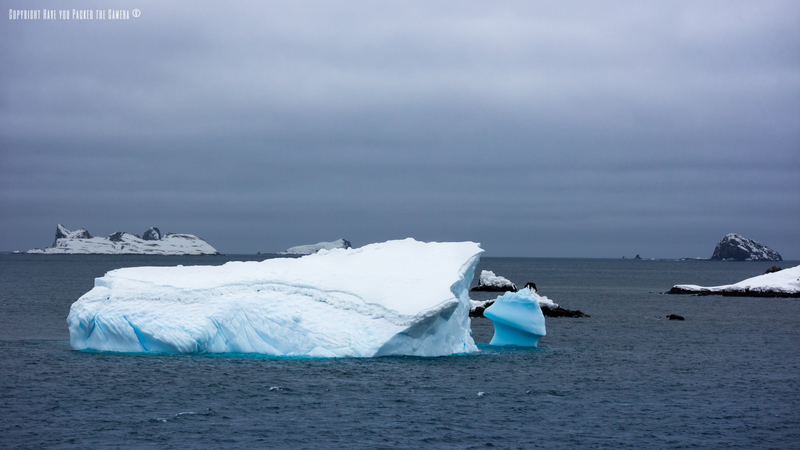 The icebergs in the waters of Neko Harbour provided a perfect foreground subject against the stunning Antarctic landscape. 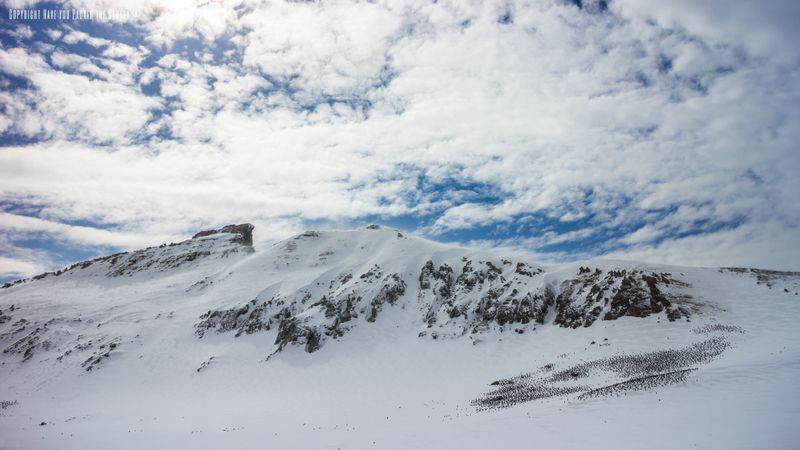 This is possibly my most treasured landscape photo from Antarctica, I just love it. I don't often brag, but this is one photo that I am really proud of; I feel it exemplifies all the beautiful qualities that drew me to the frozen continent. 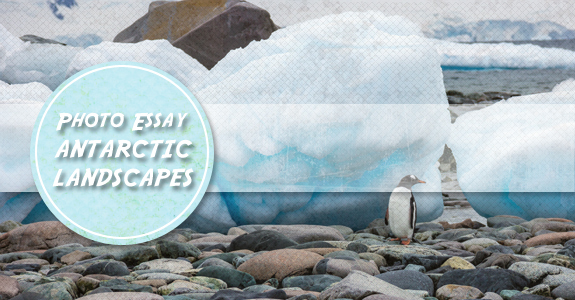 My love for Antarctica, and my desire to visit the continent spawned from watching BBC documentaries such as Frozen Planet and Planet Earth - I fell in love with the sprawling landscapes that were displayed and dreamt of witnessing their beauty and majesty for myself. I think that photos like this one show a glint of that. Not all Antarctic landscapes were snow and ice (I appreciate this photo has snow and ice in however) - The shorelines and beaches of many of the islands stay free of snow and are decorated with colourful rocks that have been smoothed over by the tides. Do you see those black specks on the right hand side? They are penguins; thousands of Chinstrap Penguins. This should give you an idea of how immense those mountains are. I was lucky to get this clear shot, as moments before those very same mountains were covered in cloud and obscured by the torrent of snow that was battering us into oblivion.